LCSi Lehman Construction Services, Inc. Contact Sam Thrush, sthrush@chambersburg.org or call 717-264-7101 ext. 204. 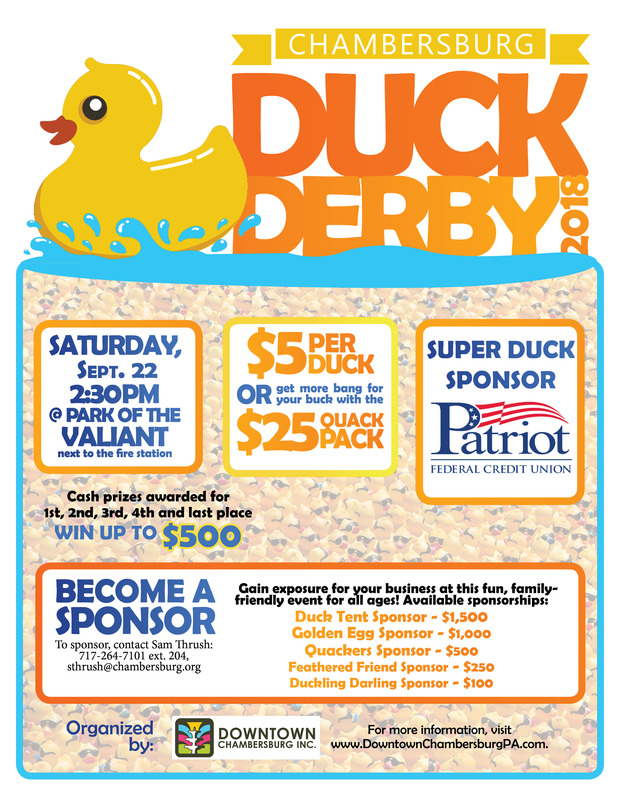 The Duck Derby will begin at 2:30 pm in Park of the Valiant (beside the Chambersburg Fire Department Headquarters at 103 North Second Street). 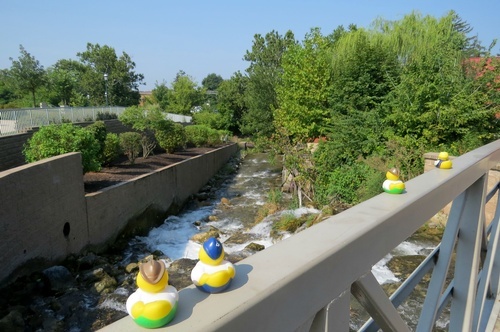 The Ducks will "swim" down the Falling Spring Creek to Chambers Fort Park where they will go over the falls and race to the finish line. Purchase online by Thursday, Sept. 20, call 717-264-7101 or visit the Chambersburg Heritage Center & Gift Shop at 100 Lincoln Way East.